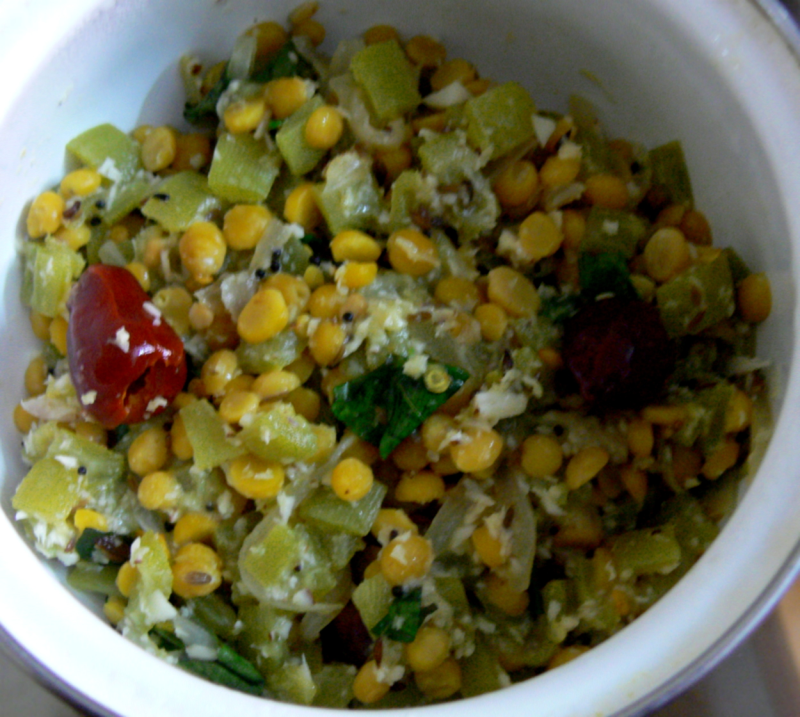 This Snakegourd Gramdal Poriyal is an easy, tasty and popular side-dish only needs 9-10 mins microwave cooking-time. This can be made as a main-dish by adding 1 cup fresh coconut milk and 1/4 tsp turmeric powder and microwave this dish 4 more mins. Do not strain the water (from the half-cooked gram dal). Take a microwave bowl and mix all the ingredients and Microwave(high) this mixture 8 mins. If u need this dish with gravy, add 1 cup fresh coconut milk and 1/4 tsp turmeric powder and microwave(high) this mixture 4 more mins. Serve this Snakegourd-Gramdal Poriyal hot with rice and sambar or chapathis. Hi Divya.Take a microwave bowl,add 5 tsp Gramdal(cleanedl),1 tsp gingely oil,1 1/2 cup water,little salt and 1 green-chilli(slit) and mix this well. Microwave this on high for 6 mins.Don't strain the water. Hi Christy, Did you half cook the dal in micro? If yes how?